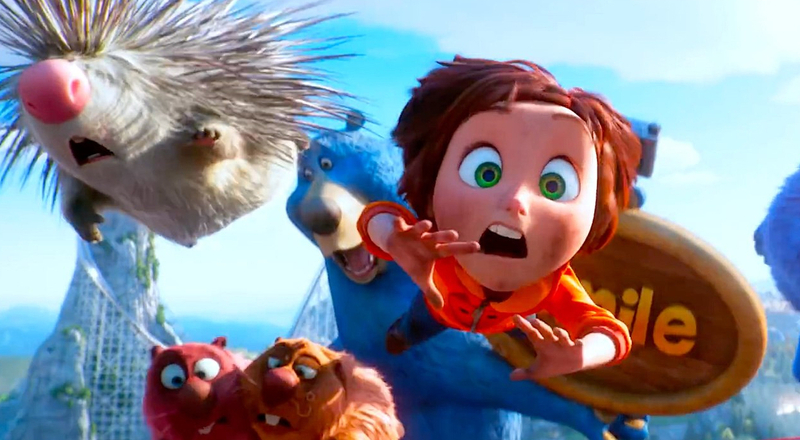 Looking like it will make the most of its 3-D presentation, Wonder Park is the latest film from Nickelodeon Movies and Paramount Animation. Young June has a vivid imagination and knack for erecting wild rides. But after she causes a ton of damage to her neighborhood, her dreams of building are put on hold. One day when wandering through the woods near her house, she stumbles onto her own amusement park, now fallen into disrepair. So with the help of some talking animal pals, she tries to return Wonder Park to its former glory. The animation of the rides, particularly the Wonder Coaster, looks like it will be absolutely spectacular in 3-D. The voice cast includes several funny folks, including Ken Jeong, Kenan Thompson and John Oliver. Wonder Park opens Friday, March 15.